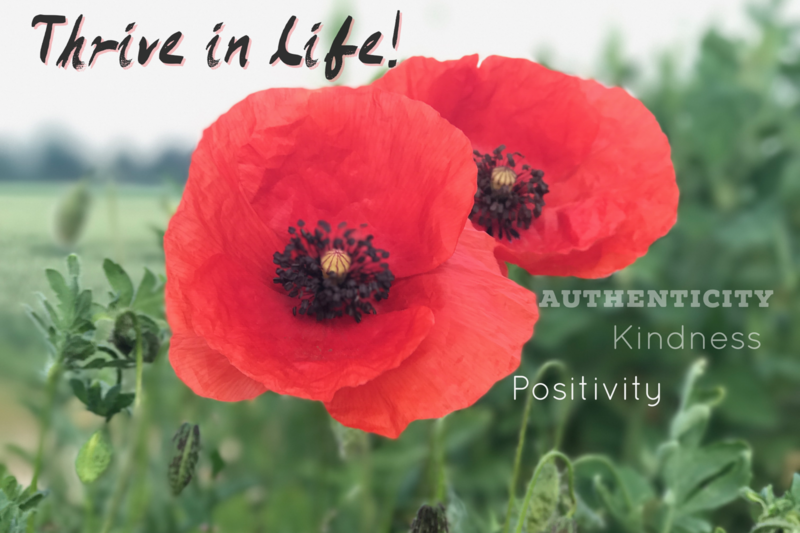 How to thrive as a highly sensitive person – Unlock your potential! Do you know someone who reflects on things more than everyone else, is very “hangry” (hungry when angry), and who avoids parties and noisy environments as often as possible? Chances are you might know someone with a “highly sensitive personality” (HSP). 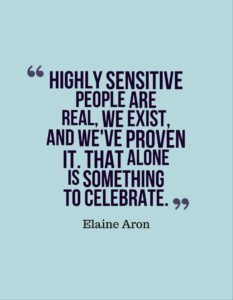 In 1996, Dr. Elaine Aron, the author of the book “The Highly Sensitive Person” stated that 15-20% of the population are highly sensitive. While it seems to be a quite common personality trait, it was not until recently that psychologists examined this new and unique trait. As a psychologist, I get to meet individuals with different personality traits in my practice. Some of them state that they have always felt different from other peers, and it was difficult for them to be in certain busy environments. They may have HSP and they did not have a name for it to help them understand why they felt different growing up. Having a highly sensitive personality can make life challenging, but not impossible if you know how to deal with it. What is a highly sensitive personality? HSP means that individuals react hypersensitive to stimuli, ranging from emotions, people, noise to food and caffeine consumption. Dr. Aron says that people with HSP have an increased sensitivity to stimulation and that they are more aware of subtleties and process information in a deeper, more reflective way. If you are an individual with HSP, you probably heard it before: “Toughen up”, “Just get over it” or “You’re too sensitive”; especially men with HSP have to deal with statements like that and it can be quite hurtful. However, it is important to note that HSP is not a mental disorder! It has to be distinguished from shyness, sensation-seeking, sensory processing disorder and autism. HSP’s can be found in both introverts and extraverts; HSP can be related to introversion, but it is not the same as being introverted. According to Dr. Aron, about a third of individuals with HSP are extroverts. On a biological level, HSP seems to be connected with a deeper sensory data processing. Individuals with HSP may have a hypersensitivity to external stimuli, combined with a greater depth of cognitive processing and a higher emotional reactivity – they process sensory on a deeper level which explains the higher probability of feeling overwhelmed in noisy environments. A lower perceptual threshold also means that an overstimulation by external stimuli can happen faster. However, there seems to be an increased responsiveness to not only negative, but also positive influences. Many individuals with HSP are great to be in a relationship with. They pay close attention to details and what their partner wants. They figure out quickly what other people want and act on it; this behavior not only makes them good partners, but also good friends. They figure out quickly if other people are feeling overwhelmed. When fighting with partners, people with HSP usually tend to see the other person’s perspective. A high level of empathy allows them to put themselves in other people’s shoes. If you know that you or your partner have HSP, you can act on it to give HSP the time and space to deal with other people and noisy environments. Therefore, it is important to note that HSP does not mean anything bad, quite the opposite – being highly sensitive carries a lot of positive characteristics. Highly sensitive people may frequently cry or become emotional in another way which is good – they are able to show their emotions (and not to swallow them) and be authentic. If you have HSP, you are emotionally more reactive (showing a higher level of empathy), you’re more intuitive, you take your time to make decisions (because you’re weighing every possible outcome), and you are used to being a deep thinker. It makes you an excellent colleague to go to before making decisions because you are used to weighing pros and cons. Being highly conscientious also makes individuals with HSP more likely to be considerate and show good manners. How to deal with feeling overwhelmed: If you have HSP, you probably know the feeling: you feel overwhelmed when you have too much stuff to do. It can be a struggle to stay on task when there are multiple things going on at the same time. Stress can lead to anxiety, and a high level of anxiety can make people with HSP feel even more overwhelmed. I recommend to learn body relaxation methods. Then, it is easier for individuals with HSP to step back, breathe, and get things done slowly, one after the other. Avoidance of noisy environments: Due to the hyperactivity to external stimuli, individuals with HSP usually try to avoid noisy environments (like busy restaurants, mass concerts or parades, …). If you know that you have HSP, give yourself the right to decline initiations to crowded restaurants or concerts. It is totally fine if you want to see people at home or in quiet environments only! If you know someone with HSP, try to invite them to your home or quiet restaurants. Get enough sleep: A lack of sleep can be damaging for everyone. However, for individuals with HSP it can be even more irritable, and they are more likely to be cranky in the morning; it is harder to deal with sensory overflow. Getting enough sleep helps to process thoughts and deal with emotions. Plan your meals: Do you know people who get “hangry” (hungry and angry at the same time)? Individuals with HSP tend to get hangry more than other people. They may feel cranky and irritated, especially during morning hours. Therefore, if you have HSP and you feel cranky and you’re taking it out on your partner, make sure you eat regularly throughout the day to keep your blood sugar level steady (especially nuts, fruits and veggies). Give yourself time: Adjusting to changes is not easy for anybody, e.g., a new work place, new colleagues, a new place to live, a new relationship. For individuals with HSP it can be even more difficult to deal with changes. Also, if you have HSP and you know that you have a busy day ahead with a lot of meetings or meetings in busy and noisy restaurants, schedule time to decompress. Accept the fact that you need more time to adapt to changes, and allow yourself to take the time you need to adapt to changes. Create your personal quiet space: If you know you have HSP, you can make sure that you create your own quiet place with low lighting, just for yourself. For example, a dark bedroom can be the perfect place to recharge after being exposed to a lot of people and noise. It is important to have a safe space where you can retreat to, to get away from noise and people. How are counseling and therapy different for people with HSP? Counseling and therapy are not different for HSP; however, if I as a psychologist am aware that an individual might have HSP, I discuss it with him or her, and adapt counseling sessions and/or the treatment plan accordingly. It is important to keep in mind that individuals with HSP’s can have a hypersensitivity to external stimuli, combined with a greater depth of cognitive processing and a higher emotional reactivity; certain life events or even daily hassles can have a greater impact on them. It can make life challenging, but not impossible; I recommend clients with HSP decompress in quiet places as often as possible and schedule time to do plenty of mental and physical self-care. About the author: Dr. Mario Lehenbauer-Baum is a Franklin, Tennessee-based clinical psychologist, and the founder and director of Thrive in Life Counseling and Therapy LLC. He earned his PhD in Clinical Psychology in Vienna, Austria, the birth place of psychotherapy. He completed several pre- and postdoctoral fellowships in Austria and the US, and is the author of several peer-reviewed papers and book-chapters about internet gaming disorder, internet addiction and anxiety disorders. He is able to offer services in English as well in German. Dr. Mario Lehenbauer-Baum diagnoses and treats individuals, couples and groups with a wide range of challenges in their lifes, such as internet addiction, video game addiction, ADHD, shyness, social anxiety disorder and other anxiety disorders, phobias, diversity, relationship issues, men’s issues, career and life challenges, marital and couple issues and other challenges. He offers psychological assessment services for children, adolescents and adults. Next PostNext Addicted to Video Games? 3/8/2017: Now accepting new referrals.